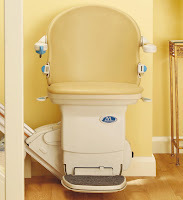 Castle Comfort Stairlifts offers top brand stairlifts, keen prices and fast installs for all those seeking stairlifts in Bicester, Oxfordshire . And all work comes with our no-quibble guarantees and famous customer service satisfaction. Hello Bicester in Oxfordshire – today we’re taking a look round this market town situated in the north east of Oxfordshire. Castle Comfort Stair Lifts will be happy to advise anybody with mobility difficulties no matter your age. So if you live in the area and are looking for help in this department, please give us a call to see what we can do for you. There’s no hard sell, just friendly advice. We can even point you in the direction of funding help either in the form of a grant or a ‘0’ finance deal. Please contact us now on 01865 477 004. As we mentioned Bicester is located in the north east of Oxfordshire and like Banbury 17.5 miles to the north, is experiencing some growth due to its proximity to the M40 which links London with Birmingham via Oxford. In fact Bicester is the halfway point with London 65 miles to the south east and Birmingham 61 to the north west. Bicester can be traced back to Saxon times and was recorded in the Doomsday book. 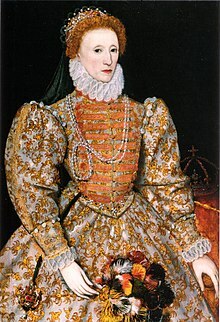 The name Bi-cester maybe attributed literally to the meaning ‘two forts’. Alchester an old Roman Settlement and military encampment – described in a guide to the area as ‘a sort of Roman Aldershot’ - have been found just 2 miles south of Bicester near to the village of Wendlebury. Bicester’s links with the military still exist today; the Army’s Royal Logistic Corps are located just outside the town. This general ordnance depot even has its own military railway! Just to the south lies Bicester Village, the designer outlet shopping village deemed the number one destination of its kind in Europe and attracting more than 3 million visitors every year. There are 130 shops in the Village mostly selling end of range, high quality, designer brands. These include Ralph Lauren, Dolce and Gabbana, Aquascutum, Gucci, Dior, Prada, Alexander McQueen, Missoni, Armani, Diane von Furstenberg and many more. Bicester Village attracts a number of famous names too including David Cameron spotted in Ralph Lauren, Liz Hurley, Claudia Schiffer, Tess Daly and Vernon Kay, David Seaman, Anne Robinson, Richard Branson, Emma Watson and Ricky Gervais. Four miles north of Bicester is Fringfield fictitiously known as Candleford Green in Flora Thompson’s semi-autobiographical stories Lark Rise to Candleford. In the mid 19th century the local newspaper noted ‘there aren’t enough dwellings to shelter the poor’ in Fringfield. At the time there were a number of trades people living in the town who probably made up many of the ‘poor’, these included 5 blacksmiths, 3 sawyers, 3 brickmakers, a stonemason, a shoemaker, 3 decorators, a carrier, a coal haulier, 2 bakers, 2 grocers and a butcher. At nearby Shelswell House, Tusmore Park and Swift House a further 2 grooms, 2 footmen, 6 gardeners and a coachman from Fringfield found employment. 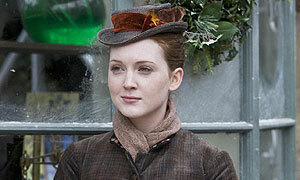 The TV series of Lark Rise to Candleford which highlighted this poverty, starred Olivia Hallinan as Laura, the main character of the series. Olivia has also starred in several popular TV dramas such as Holby City, Casualty and the drama series Moving On. Others in the Lark Rise series included Dawn French as Caroline Arless, Julia Sawalha as Dorcas Lane and Liz Smith as Zillah. A little further on lies Woodstock, some 14 miles south west of Bicester – this is not the home of the famous 60’s festival, but where you will find Blenheim Palace, the birth place of Winston Churchill. The origin of the name Woodstock in old English ‘means clearing in the wood’ and the place was noted as ‘a royal forest’ in the Doomsday book. Woodstock Palace perhaps most famous for being the prison where the future Queen Elizabeth I was held during the reign of Mary 1, was destroyed during the English Civil War and Blenheim Palace was later built on the site. Geoffrey Chaucer known as the ‘father of English literature’ is probably best known for The Canterbury Tales a series of stories in verse about a group of pilgrims and written in Middle English, lived in Woodstock. During the 17th century a bell foundry was in operation in the town. Although closed as long ago as 1703, these ancient bells can still be found in a number of churches including Asthall, Charlton-on-Otmoor, Chesterton, Kiddington, Merton, Milton, Oddington, Steeple Aston, Steeple Barton, Stratton Audley and Woodeaton – all in Oxfordshire and in Stowie in neighbouring Buckinghamshire as well as Martley in Worcestershire. If you have to burst into explanatory verse about your predicament or ring the bell to get help going up or down the stairs, it’s time to think about getting some more permanent help! If a stairlift might make life altogether easier for you, then spare a moment and contact Castle Comfort Stair Lifts to see how we can help. As national agents for all stairlift manufacturers we are in a great unbiased position to offer you sound advice about which stairlift is right for you, your house and your budget. Please give us a call on 01865 477 004. Whilst Bicester itself claims few celebrities either past or present, there are a number of notable people connected to the surrounding areas. Head south of Bicester and you’ll find Great Milton once home to two mills and now best known for Raymond Blanc’s Le Manoir aux Quat’ Saisons. This restaurant/hotel run by French chef Raymond Blanc has two Michelin stars – a great accolade for its quality and standard in the food world. Great Milton is also home to Sir Tim Rice best known for work with Andrew Lloyd Webber on a number of West End musical productions including Joseph and his Amazing Technicolor Dreamcoat, Jesus Christ Superstar, Evita and with Elton John on The Lion King. A short distance away is the home of author Colin Dexter, in Summertown. Dexter is responsible for the books that feature Inspector Morse played by John Thaw in the long-running TV series. 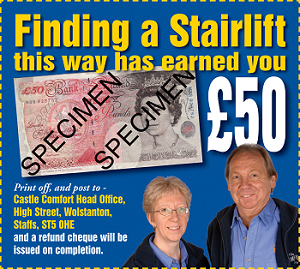 That just about wraps up Bicester but before we go we’d like to remind you that you can use the £50 voucher towards your purchase of a stairlift from Castle Comfort’s offerings. You’ll find helpful comparisons on our website and of course founder Keith’s short and informative video at the top of this blog. Don’t hesitate to contact Castle Comfort Stair Lifts with any of your mobility queries: 01865 477 004.
and I've heard so do stylish smart shimmering stainless steel stairlifts ! Indeed, we provide stairlifts in Oxfordshire including Bicester for those great and small!